Dehydrated vegetable is a kind of dried vegetable which is made by washing and drying fresh vegetable and removing most of the moisture from fresh vegetable. It has the advantages of light weight, convenient use, simple packaging and long shelf life. In Japan, the United States and other countries and regions, such food has become a fast-paced, high-frequency lifestyle of modern convenience food. In China, dehydrated vegetables are not only widely used in the field of convenience food, but also solve the vegetable problem for tourism, frontier defense, geology and other departments. There are many kinds of vegetable in China, including cabbage, garlic, carrot, lettuce, mushroom, beans, green pepper, red pepper, pumpkin, beans and edible fungi. Since the 1990s, China's total export of dehydrated vegetables has reached 10 *104 t, accounting for about two-thirds of the world's total, and China has become the main supplier of garlic, ginger and eggplant vegetables in Western European countries and Japan. After dehydration, the moisture content of vegetable is 4%~13%, the water activity is about 0.7, and the rehydration ratio is 1:3 (5~10.5). Generally, the vegetable can be refreshed in 3~10 minutes. The low moisture content of dehydrated vegetables makes microorganisms and enzymes in a low life state, prevents the growth and reproduction of microorganisms, especially pathogenic bacteria, and achieves the effect of preservation and freshness preservation. Products sealed or vacuum packed can be stored for 2~3 years at low temperature. During the dehydration process, the chemical properties of proteins, the permeability of cell membranes, the structure and function of cells are changed. Cell hydrolysis, some main substances and some structural substances, such as starch, sugar, protein, fruit acid and a small amount of fat, are decomposed into simple substances under the action of enzymes. Among them, starch is decomposed into glucose, disaccharides into monosaccharides, proteins and polypeptides are decomposed into amino acids, and propectic acid is decomposed into gummic acid. This change can improve the flavor of dehydrated vegetables, increase the taste and sweetness, loss of soluble and unstable components is greater, loss of insoluble components and minerals is smaller, and color will also change greatly. 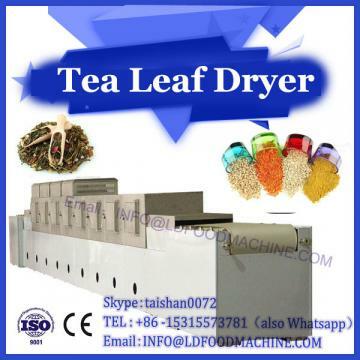 There are six common dehydrated vegetable processing technologies: atmospheric hot air drying, freeze-drying, microwave drying, far-infrared drying, infiltration technology and heat pump technology. However, the use of atmospheric hot air drying technology is relatively mature, but there are many problems such as high energy consumption and low efficiency. The principle of microwave drying technology is to make use of the absorption characteristics of the moisture inside the material, and convert the absorbed microwave energy into heat energy to convert the internal moisture into water vapor so that the moisture content reaches the standard. The drying time of microwave drying technology is shortened and the product quality is high. 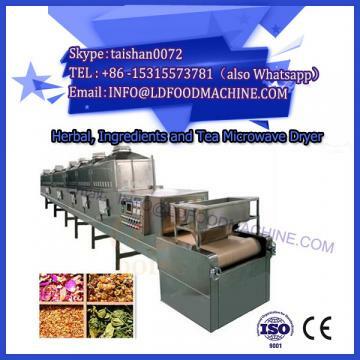 However, due to the fast drying rate of microwave, it is difficult to control the end point of drying. The combination of microwave drying technology and other drying methods can avoid its shortcomings and better play to the advantages of uniform heating and short drying time. It was found that banana slices made by vacuum microwave drying had good taste, strong flavor and good rehydration. The garlic was dried by microwave hot air combination, and the conversion point was determined, and the technological parameters were optimized.